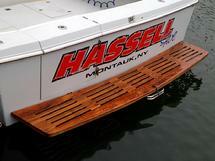 Look your best on the open water. 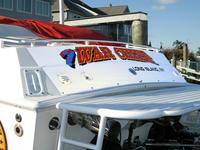 Custom boat lettering and graphics adds a beautiful personal touch to your boat. 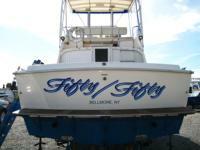 Gary only uses hi performance vinyl, it can withstand the sun & salt water much better than standard vinyl. 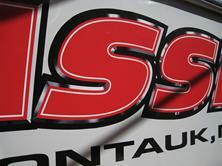 Lettering can still be done, by hand with paint. 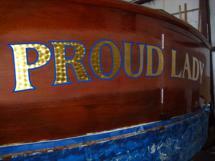 For that elegant look, 23K Gold Leaf is a specialty. 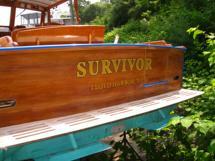 In 2013 I lettered 2 boats. This year, 2014, I've already lettered at least 12 & more are booked in. 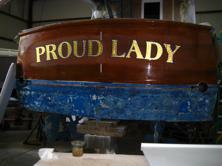 This huge, old boat was being restored & I had to redo & go over the original lettering. 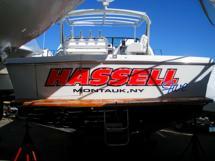 Boat Registration & Hail Ports - Documented registration numbers are 3" high by 22" wide. Hail ports are usually 2.5" high except for Documented Vessels which require 4" letters. exterior identification. 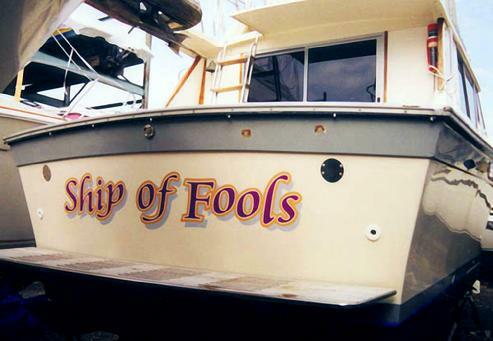 Historically, 23 karat gold leaf adorns fine vehicles & boats signifying quality and reputation.